Social media has become the latest trend – everyone says you need to jump on board to survive – but as a mediator, is it relevant marketing tool for your service? 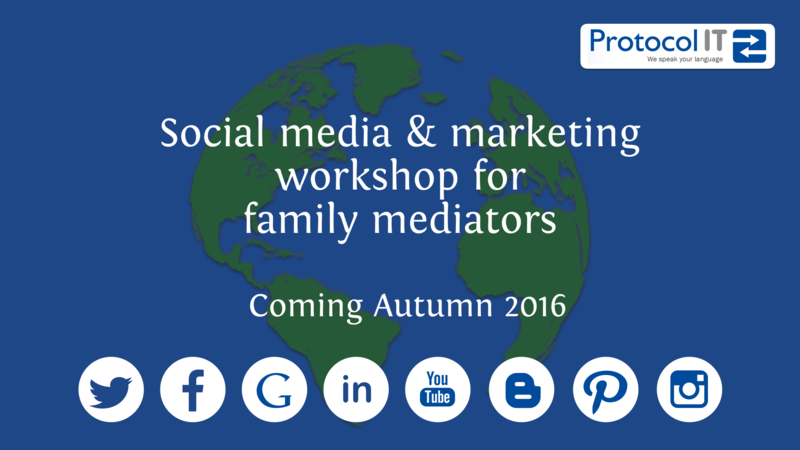 This workshop is based around material presented at the Family Mediators Association conference in September 2016. 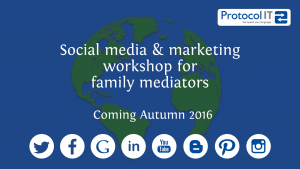 Its primary goal is to explore social media and digital marketing from a family mediation perspective. Targeted at those who have dabbled or no exposure to social media, and will provide a couple of key reasons why family mediation services should be using social media. If you’re interested in attending or would like more information, please get in touch. This year he has helped organise and run Family Mediation Week 2016. and is on the UK Mediation Awareness Week 2016 working group using various digital media and social media streams.